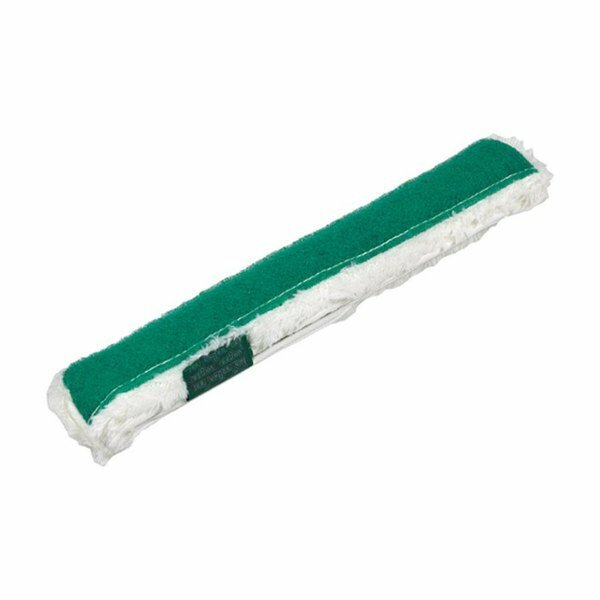 Tackle even the dirtiest windows and other glass surfaces with the Unger RS350 ThePad 14" StripWasher Sleeve! This plush, woven synthetic fabric washer features a textured non-abrasive nylon scrubbing pad to remove tough dirt and grime. Plus, reinforced zigzag stitching offers durability and extends the washer life. The Unger RS350 attaches to Unger 14" T-Bar handles with a hook and loop closure and may be paired with Unger telescopic poles to easily clean high places.